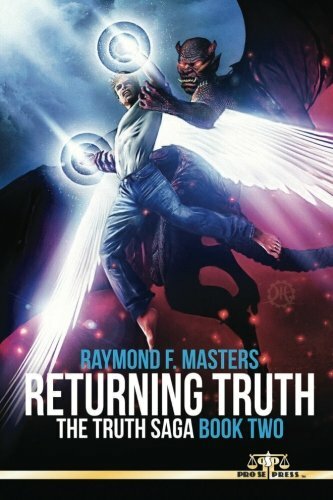 Raymond Masters is the Arkansas-based author of The Truth Saga, a character-driven tale combining mystery, magic, fantasy, religion, and super-heroics (Pro Se Productions, 2015). He is currently at work on a prequel story for inclusion in an upcoming Pro Se anthology. He has also had comic scripts accepted for publication at Viper Comics and Incubator Press. He's dabbled in the zombie craze with a short story, entitled Dangerous Hunts: A Zombie Father's Day Tale. He has contributed for both Project Fanboy and Wired's GeekDad.com. When not writing or reading, he can be found on social media, promoting other independent authors and creators. LIBERTY IS GONE, BUT TRUTH REMAINS Kade Truth awakens in a strange house sideways of reality, where he learns he has “died” in a mysterious attack on the Statue of Liberty. Rather than facing the afterlife, he now wields energy powers, including flight. 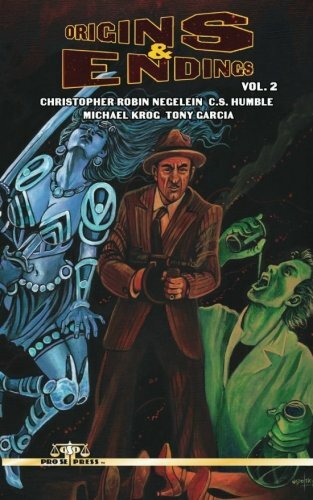 Kade joins and befriends Caduceus – eccentric caretaker, magician, and feeder of soup – and Mao F’Yang – an intoxicating girl with the uncanny ability to disappear – in a quest to regain his memories, uncover who is behind the attack, and discover why he has been so drastically altered. In a counter to Kade’s mission, the malign Dark Monk joins forces with Richard Van Parson – arrogant CEO of VPI – to forward his own hellish agenda under the ruse of a retaliatory war. What ties does the Dark Monk have with Caduceus? What designs does he have for Kade? And will Kade unravel the truth in time to embrace his true destiny? 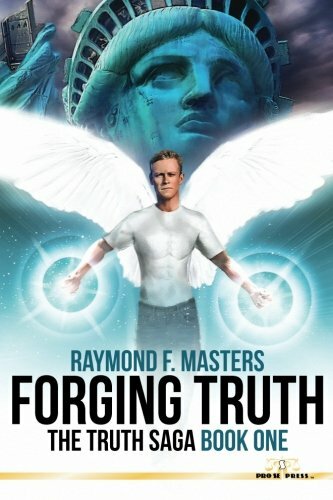 Experience the first chapter in an exciting new series from author Raymond F. Masters and Pro Se Productions- Forging Truth! A MOTHER’S TRUTH… A SON’S RETURN Having regained his memories, Kade Truth must now embark on the second leg of his mission: to discover the truth behind his transformation into an energy wielding superhuman. His search promises to land him in the paths of powerful individuals, hell-bent upon their own agendas: Richard Van Parson, megalomaniac CEO of VPI, to name one; and the President of the United States, to name another. And what of the menacing Dark Monk of Kade’s nightmare? Before Kade can confront these demons, however, he must first come face-to-face with his past. Returning Truth is the story of a homecoming, years in the making. Kade has hardly spoken to his mother since she sent him away to The Sisters when he was sixteen. Why is he suddenly drawn to her, and what unexpected secret does she possess? How will Kade’s friends react to his new abilities? How will his fiancé? All the while, the faux war with France is heating up. But if the war is all staged, why are soldiers still dying? Someone has to stand up for the innocents being lost oversees. In Ransom, Okalahoma, one reunion is about to be cut short, while in a realm sideways of reality, another is in full swing… And a brother’s fate hangs in the balance. Every Story Has A Start and Finish. And, for every story, those are two different tales. One of Origin, of birth and promise. Of beginning something and the beauty of the path it will follow. And One of Ending, of finality and completion. Of laying to rest all that had been before one last time. ORIGINS AND ENDINGS is a two volume set of such stories as written by some of today’s best Genre Fiction authors. Some tales are the opening of a great salvo, of action and adventure yet to come and others are the last note, the ringing knell of legends and secrets passing away. Watch heroes and villains discover themselves while adventurers and explorers give their all to be who they are. ORIGINS AND ENDINGS. From Pro Se Productions.